Rainbow wish to recruit a team of carers to support individuals with Complex Care Needs. Must be able to work on own initiative and as a team. Rainbow wish to recruit RGN/RMN/RNLD to work in nursing homes throughout the northwest. Will be responsible for administering medication, and general RGN or RMN tasks in various nursing/residential homes. Must be able to work on own initiative and also as a team. Must have the ability to complete detailed reports and documentation. Capable of dealing with emergency situations in a calm manner. Bank holidays paid at time and a half. Successful applicants are required to provide an enhanced disclosure. Disclosure expense will be met by applicant. Why choose Rainbow Staffing Services? We are a specialist nurse staffing agency, with offices in 3 locations, covering the North West (Lancashire & Manchester), the North East (Yorkshire), and the Midlands (Birmingham). Rainbow works with many hospitals and nursing homes across our 3 regions. We place hundreds of staff members every week, offering choice and flexibility, with both short- and long-term work available. We provide care services to clients in their own homes as well as through a variety of healthcare establishments. Our care is second to none, and we pride ourselves on the positive feedback we get from all our satisfied customers. 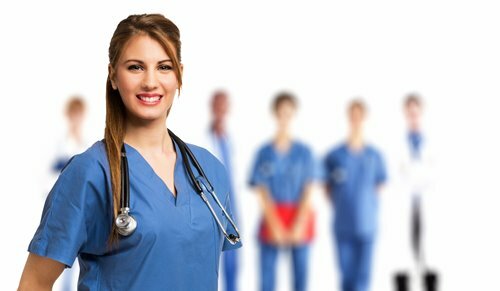 We also have positions in NHS and private hospitals, offering a range of shift patterns and locations, to suit your needs. We run our own in-house training, which covers both mandatory courses as well as bespoke training developed specifically for our individual clients. Our rates are amongst the most competitive in the industry, full details to be discussed during interview. No problem – you are welcome to join our team and work with us.